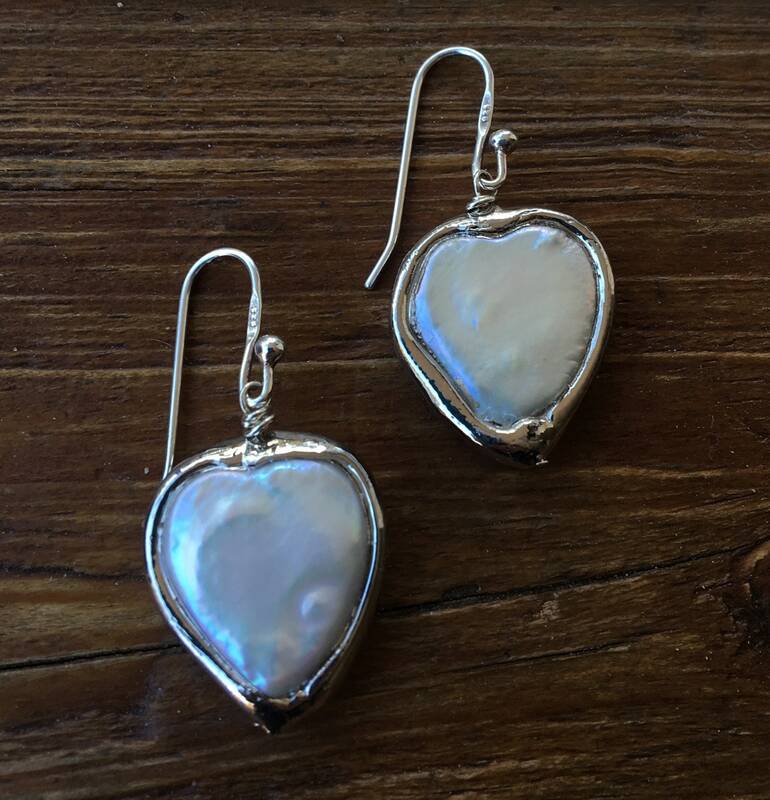 These large genuine freshwater pearls are framed in silver (silver plated). 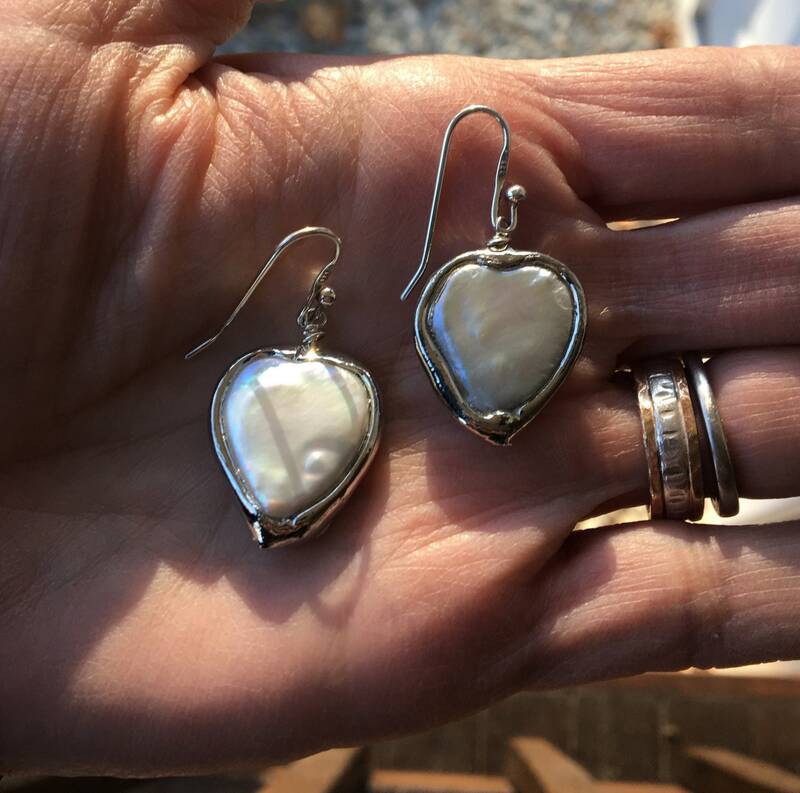 Sterling silver ear wires hold these hearts. 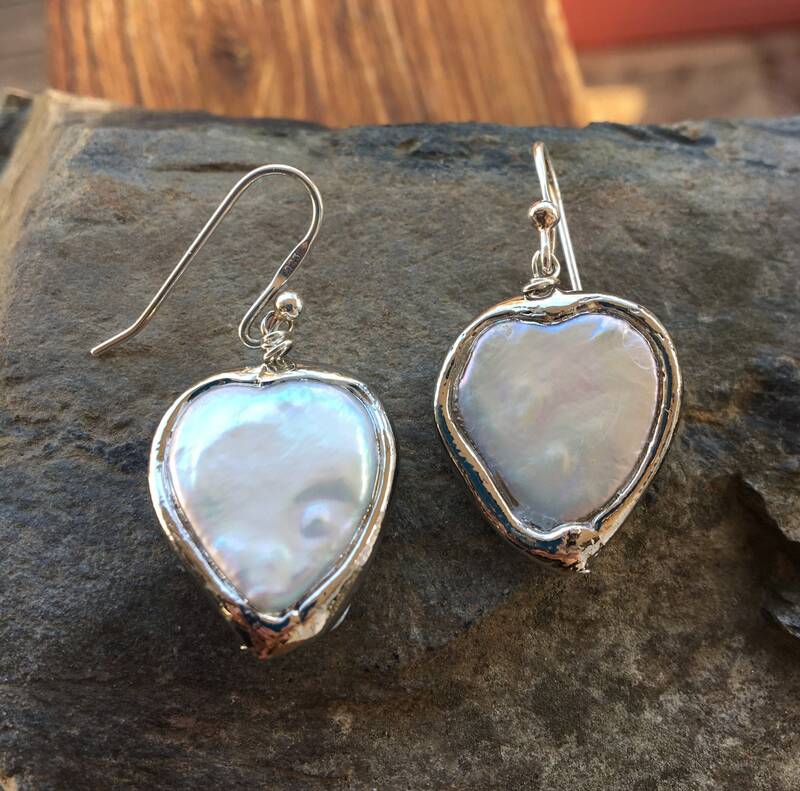 These earrings measure 1 1/2” long including the ear wire. 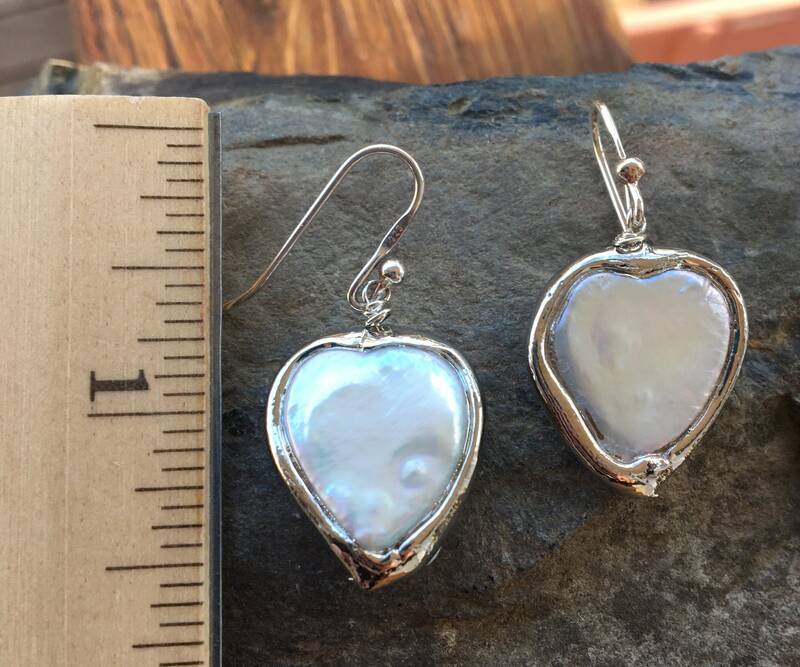 The hearts measure approximately 3/4” long & 3/4” wide. These will be packaged in a pretty box with ribbon. They are gift ready.